Leading UK legal systems innovator Zylpha (www.zylpha.com) has entered into a formal partnership agreement with PayPal. The agreement reflects the success of the company’s existing integration with PayPal Invoicing which streamlines the process by which law firms accept clients’ funds. Used within LexisNexis Visualfiles, the fast, easy and customer friendly solution has proved especially popular when combined with leading eSignature product Adobe Sign. 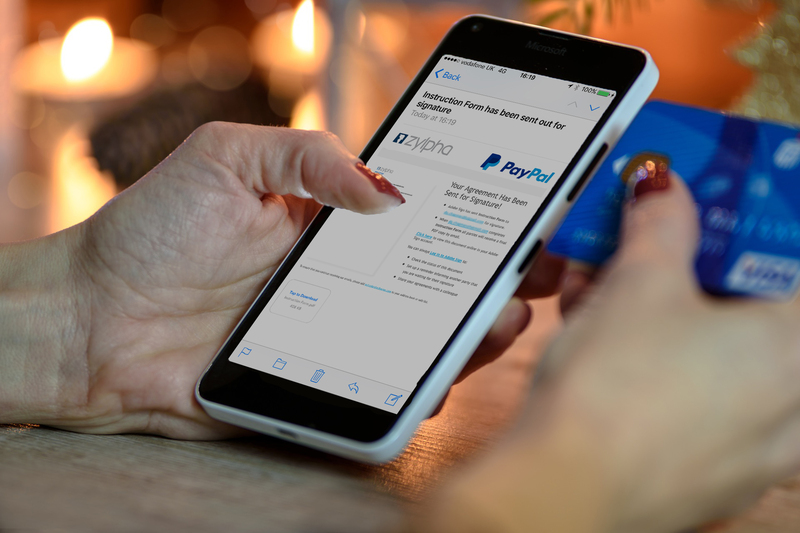 As invoice details can be forwarded to clients electronically, the PayPal integration minimises the risk of human input errors or problems with illegible payment card details. Transactional data can then be parsed back into Visualfiles, where further workflows can be built, once the funds are received. These might include: instigating new searches or requesting additional copies of case paperwork. PayPal invoicing is the easy way to create and send professional invoices to clients. It lets clients choose the way they want to pay, whether that is by PayPal account, debit card or credit card. The convenience, security and simplicity of this payment method is greatly appreciated by clients too as with the Zylpha integration for Visualfiles from LexisNexis, law firms can simply request payment directly from within their case management system. For his part, Zylpha’s CEO Tim Long added, “Zylpha’s integration with PayPal has proved to be a real game changer. Indeed, through this method, there are already a number of practices that both now collect monies due securely, whilst also benefitting from greatly enhanced customer service with their clients. In addition, by following what has now become a new best-practice, law firms can differentiate themselves significantly from their competitors, some of whom are still handicapped by costly and time-consuming paper-based systems.